HELSINKI —An enhanced Long March 3B with a Yuanzheng-1 upper stage lifted off from the Xichang Satellite Launch Center in southwest China at 2:07 p.m. Eastern Nov. 18 sending two Beidou satellites directly into medium Earth orbits at around 21,500 kilometers altitude. The launch was consistent with airspace closure notices issued Nov. 15, with amateur images and footage (link in Chinese) providing the first evidence of the activity. Mission success was confirmed by the China Aerospace Science and Technology Corporation (CASC), the main contractor for the space program, just over four hours after launch. The launch means China is now able proceed with its pioneering Chang’e-4 lunar mission, which will attempt the first ever soft-landing on the far side of the moon, with launch expected Dec. 7. With the lunar mission to use the same launch site and launch carrier rocket as the Beidou launch, an issue Dec. 28 would have delayed Chang’e-4. 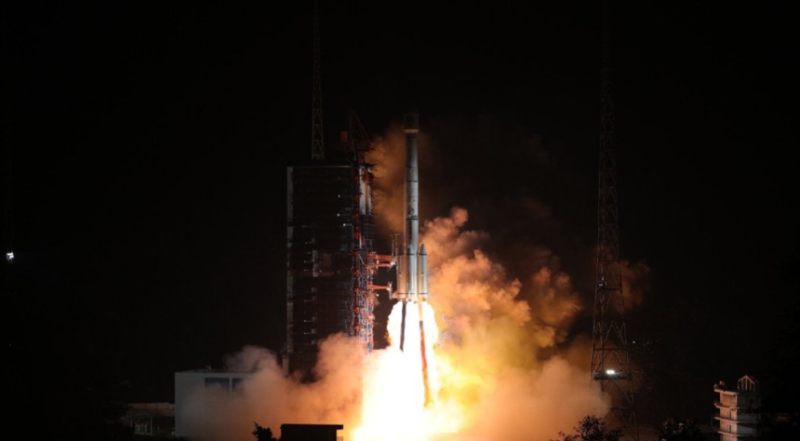 The pair of one-metric-ton Beidou-3 satellites are the 42ndand 43rdlaunched for the Beidou system, China’s answer to the U.S. GPS precision timing and navigation system, and the 18thand 19thof the third-phase satellites for global coverage. 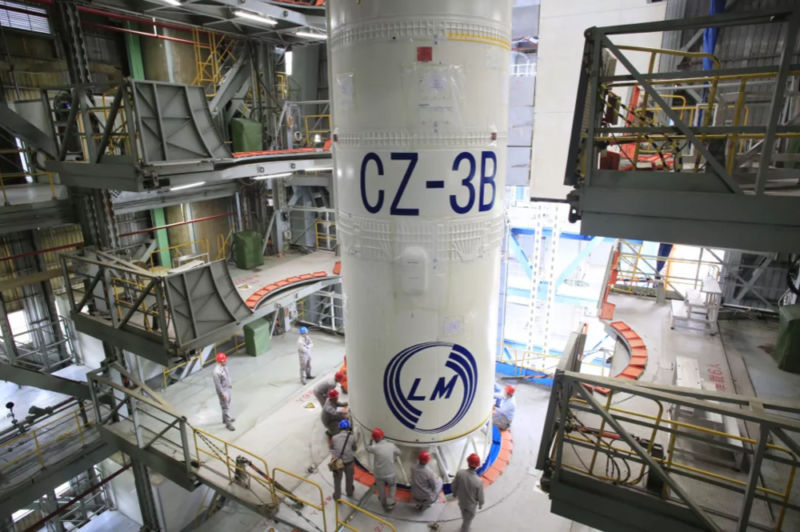 During 2019 and 2020, China aims to launch six more medium Earth orbit (MEO) Beidou-3 satellites, along with three to inclined geosynchronous orbits and two more satellites to geostationary orbits (GEO). China’s accelerated launch cadence in 2018, which has seen nine Beidou-related launches, has put the country on course to complete the system of 35 active satellites for global GNSS coverage in 2020, with 27 satellites in MEO, five in GEO and three more in inclined GEO orbits. Along with civilian uses such as navigation and positioning, Beidou will also provide weapons targeting, guidance and other services for the People’s Liberation Army, removing previous Chinese military reliance on GPS. The launch was China’s 33rdof 2018, with the maiden orbital launch attempt by startup Landspace bringing the single failure. Nov. 19 will see China follow up with a Long March 2D launch from Jiuquan in the northwest of the country at around 7:40 p.m. Eastern, understood to be carrying a pair of Earth observation satellites for Saudi Arabia along with small publicly and privately developed Chinese satellites. The Dec. 18 success means China will begin launch campaign for the Chang’e-4 lunar lander and rover mission at Xichang. Indications from insiders and aerospace enthusiasts within China point to launch taking place in the hours around 12:30 p.m. Eastern Dec. 7 (2:30 a.m. Dec. 8 Beijing time). Though a senior CNSA official has apparently confirmed Dec. 8, this has not extended to the exact launch time and date has not been released. The Chang’e-4 spacecraft, consisting of a 3.6-metric-ton lander and a 140-kilogram rover, will target a landing region within the South Pole-Aitken Basin, a vast impact basin of immense scientific interest. The candidate landing areas are within the 180-kilometer-diameter Von Kármán crater, which offers some of the flatter topography in the Aitken Basin for an attempted landing. 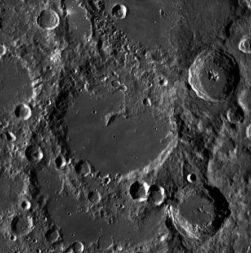 The geology of the crater could provide insight into the history and development of the moon and solar system, according to academic papers on the potential landing sites. The landing will take place in late December or early January, following sunrise over the Von Kármán crater and the beginning of a period of sunlight over the landing area lasting 14 Earth days. As the far side of the moon never faces the Earth due to tidal locking, a relay satellite is required to facilitate communications between the spacecraft on the lunar far side and the Earth. Named Queqiao, a satellite with a 4.2-meter parabolic antenna was launched May 20 from Xichang and entered a Lissajous orbit June 14 beyond the moon around the Earth-moon Lagrange point 2. The orbit will allow Queqiao a constant line of sight with both the lunar far side and terrestrial tracking stations. 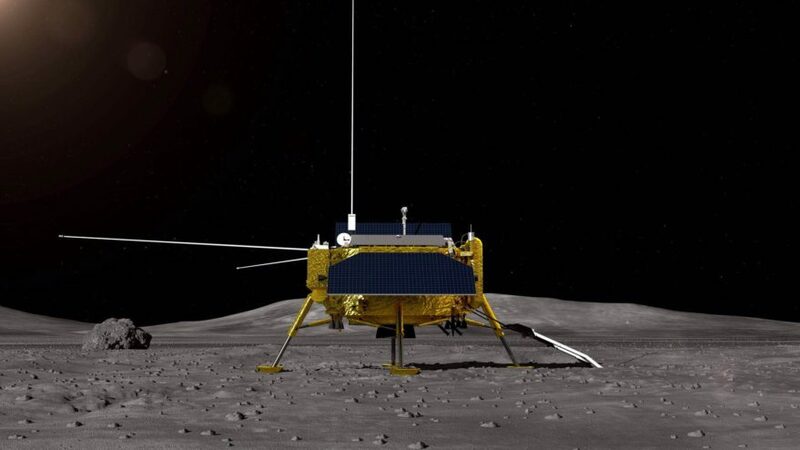 Chang’e-4 was originally manufactured as a backup to the Chang’e-3 mission which put a lander and rover on Mare Imbrium on the lunar near side in December 2013 and made China only the third country to soft-land on the moon. The mission followed two lunar orbiter missions, Chang’e-1 and Chang’e-2, launched in 2007 and 2010. A successful Chang’e-4 mission would also prove useful for future lunar plans, including missions to the lunar poles in the early 2020s.